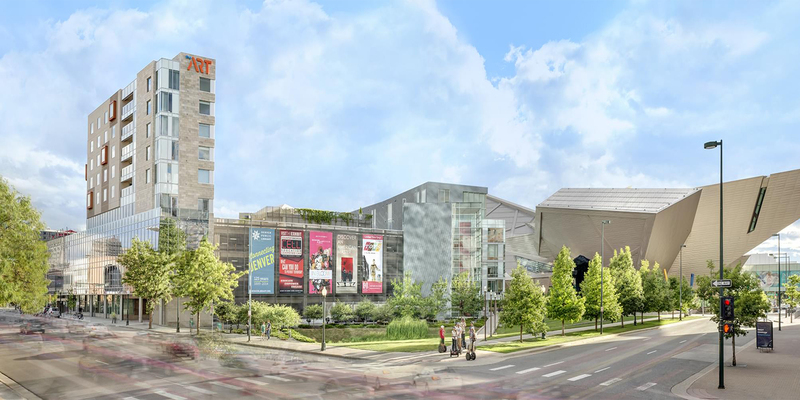 Since 2015, you can see in Denver’s landscape the Art Hotel, which has a particular concept; it is the perfect combination between a museum and a hotel. The art curator, Dianne Vanderlip, who previously worked for the Denver Art Museum, says many art pieces have a function – they were predicated by a desire to say something about the greatness of Colorado and of the greatness of the hotel. The hotel wants to be an active part of Denver’s cultural life, so they often organize events throughout the year. There are all kinds, such as photography contests, art runs, art bike rental, art tours and so on. 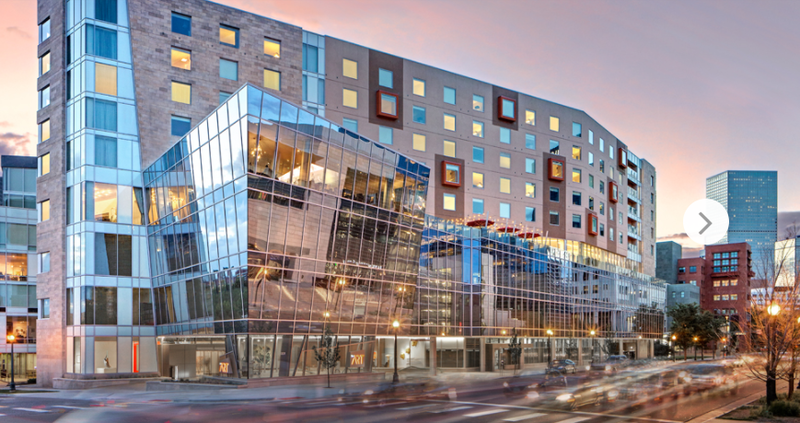 With 165 rooms, the Art Hotel has a perfect location, indeed, it is based in the Denver’s Golden Triangle and is very close to the Denver Art Museum and Clyfford Still Museum. Each suite is to feature a “vibrant wall covering”. Dianne has worked hard these past few years acquiring and commissioning contemporary works. She purchased from more than 40 artists. The hotel has made so many purchases, they had to put some of them in storage, unseen by the public. Some of the artworks were commissioned especially for the Art Hotel, some were acquired from artists as far-flung as Dusseldorf, London, NYC, Los Angeles, Vietnam but also from local artists in Denver. This hotel also considers itself as LGBTQ-friendly, as Denver has become the LGBTQ center of the West. 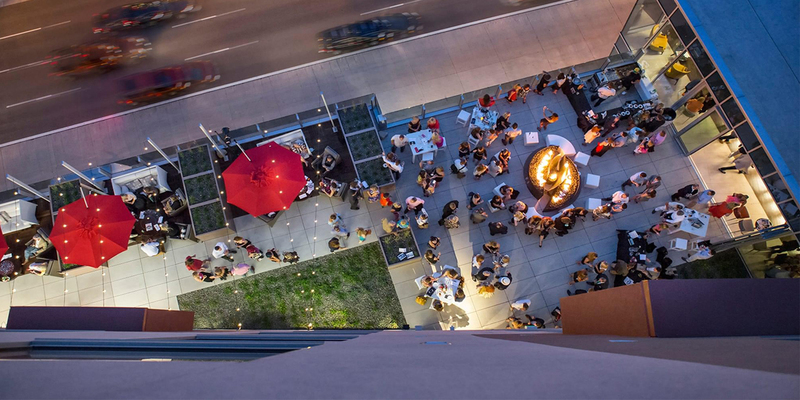 Travellers from all around the world come to Denver and choose the Art Hotel for its cultural aspect. It offers a unique experience. The art is present everywhere, from public spaces to private rooms and meeting rooms. They match the architecture and uses of the many spaces. Hotels bank on art to distinguish themselves from the competition and attract customers. The Art Hotel has put a lot of effort to put its art collection in the spotlight of Denver’s cultural life. There are more and more hotels on Uart, the platform to share your art collection with the world! Art is a great way to create value for your business. On Uart, you can create your profile, free of charge, and upload your best artworks, share your passion, share your tastes to your network and to all art lovers around the world, which is a great way to get visibility!